Lunenburg is a Canadian port town in Lunenburg County, Nova Scotia. 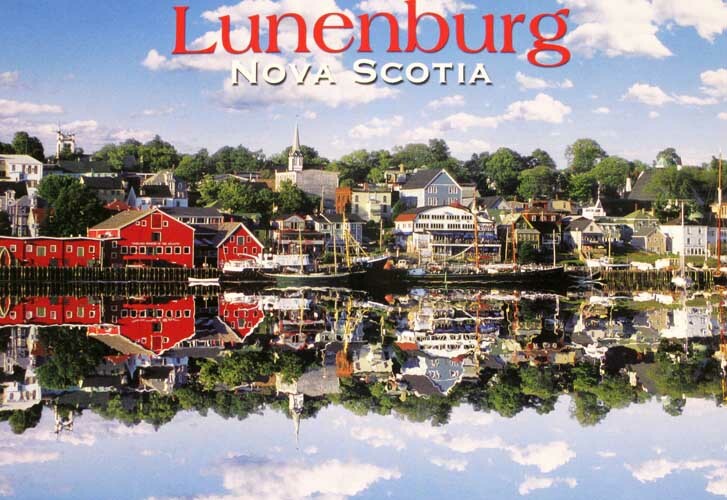 Situated on the province’s South Shore, Lunenburg is located on the Fairhaven Peninsula at the western side of Mahone Bay. The town is approximately 90 kilometres southwest of the county boundary with the Halifax Regional Municipality. The town was established by the three founding fathers, Patrick Sutherland, Dettlieb Christopher Jessen and John Creighton (judge) during Father Le Loutre’s War, four years after Halifax. The town was one of the first British attempts to settle Protestants in Nova Scotia intended to displace Mi’kmaq and Acadian Catholics. British settlement posed a lasting, grave and certain threat to Mi’kmaw hegenomy over their traditional territory. Considering that British conditions for peace required surrender of Mi’kmaw sovereignty to the Crown, the Wabanaki Confederacy raided Lunenburg nine times in the early years of the settlement in an attempt to reclaim their loss.